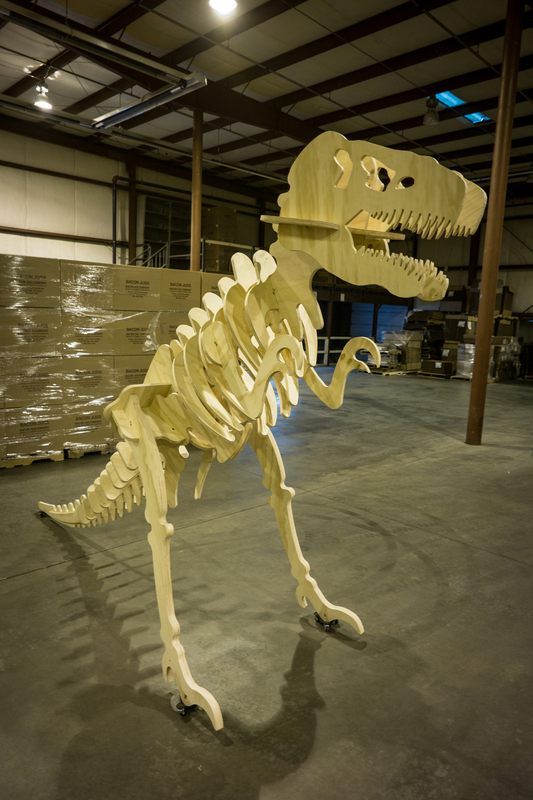 This dinosaur is CNC cut out of pine plywood. 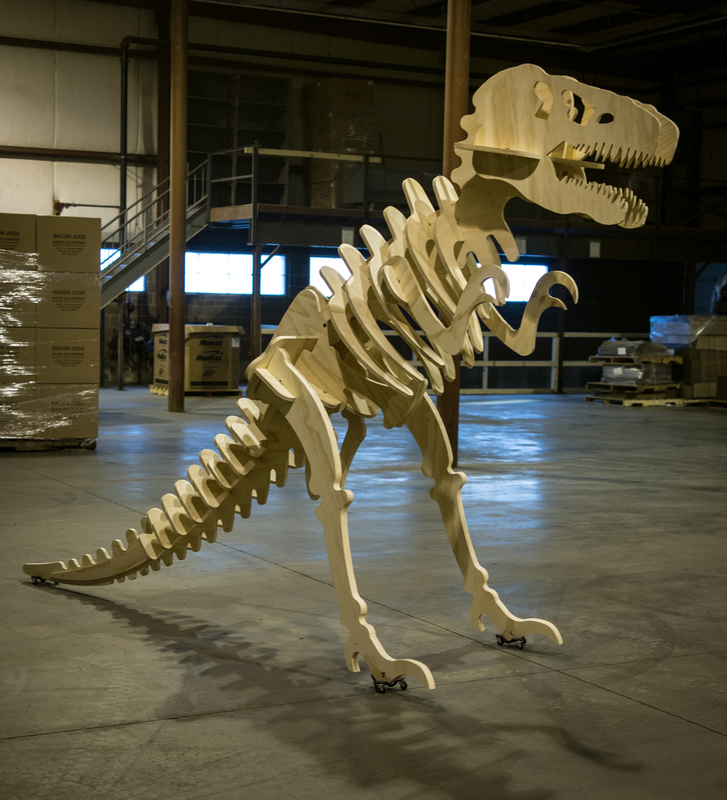 It assembles with only a few bolts and can be erected by two people in about 15 minutes. It ships flat too. This is great for trade shows, your front lawn, or special event. Please contact us if you are interested in getting your very own dinosaur.